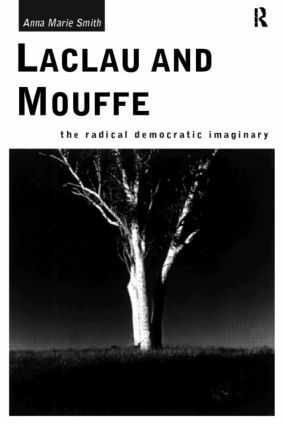 Laclau and Mouffe: The Radical Democratic Imaginary is the first full-length overview of the important work of Ernesto Laclau and Chantal Mouffe. Anna Marie Smith clearly shows how Laclau and Mouffe's work has brought Gramscian, poststructuralist and psychoanalytic perspectives to revitalize traditional political theory. With clarity and insight, she shows how they have constructed a highly effective theory of identity formation and power relations that carefully draws from the criticism of political theory from postmodern anti-foundationalist political theory.